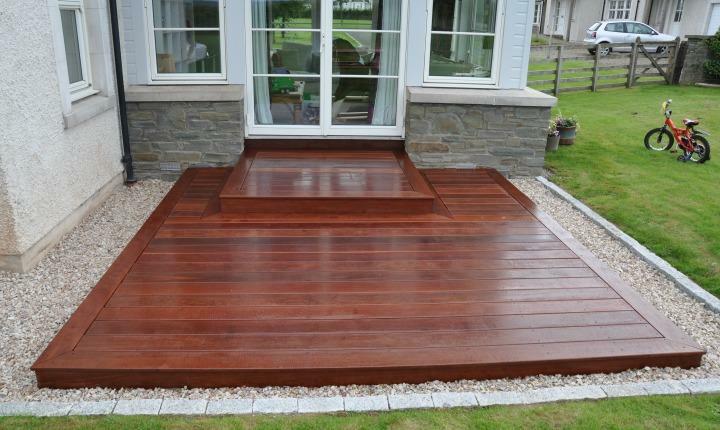 This decking project took us to a fairly new property development near Tibbermore, Perth. 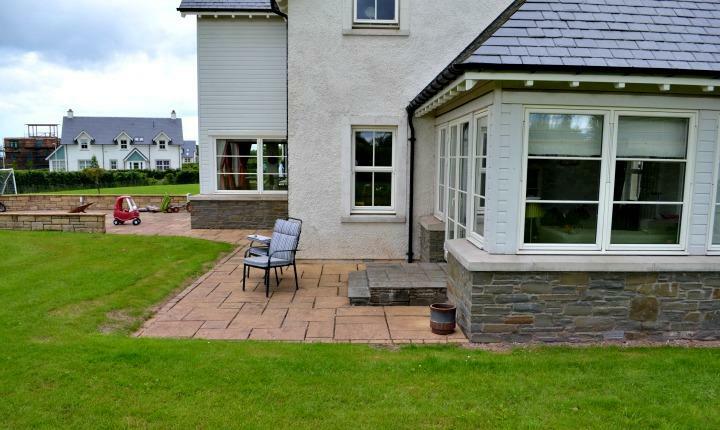 The brief was to introduce an attractive new seating area in keeping with the property. 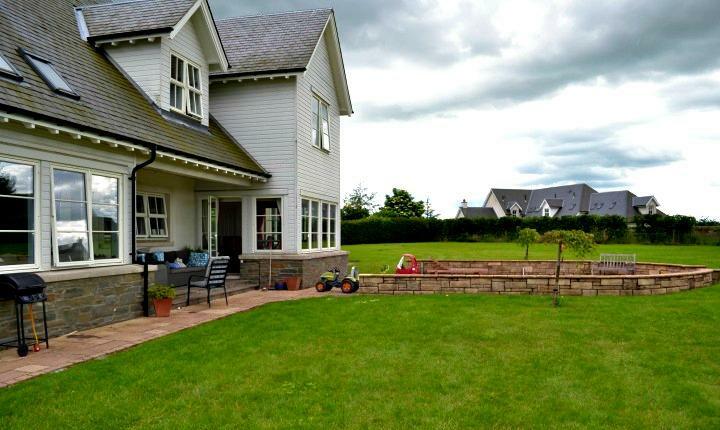 The rear garden of our client's property was laid mainly to lawn with a circular walled paved area that was looking a little tired. 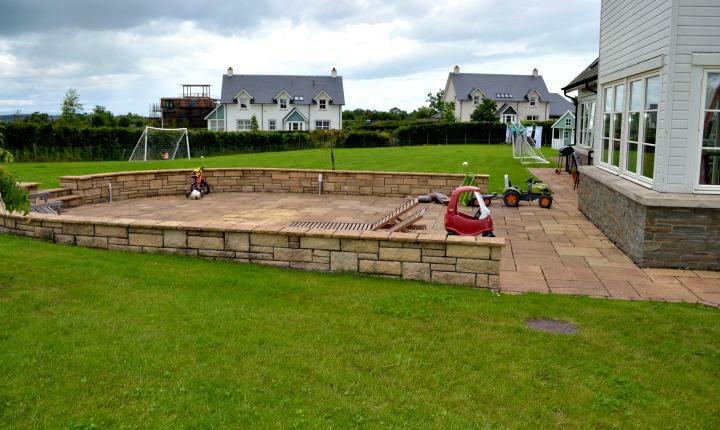 We were asked to look at replacing the paving with a more stylish alternative. 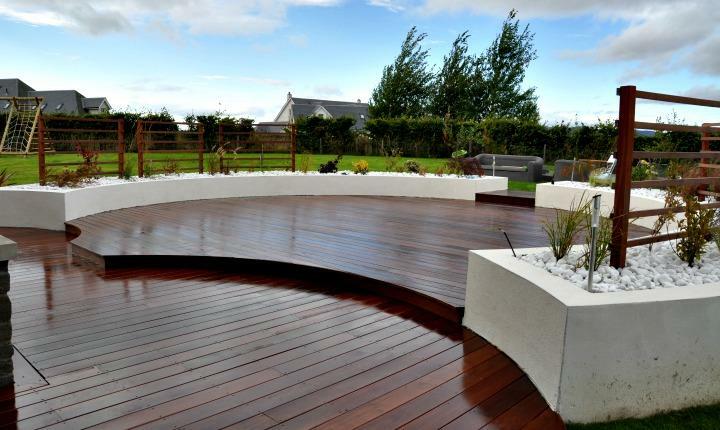 In consultation with the client it was agreed that we should create a circular hard-wood deck surrounded with shaped raised planters. 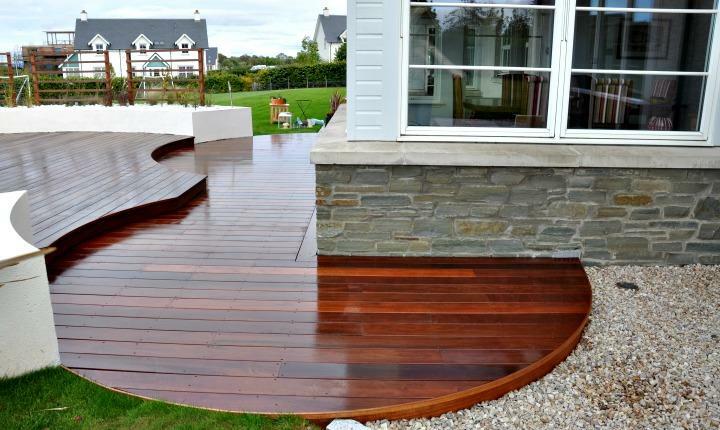 Decking was to be used to replace the tired paving along the rear of the property and a smaller square deck and step were to be created at the side patio door. 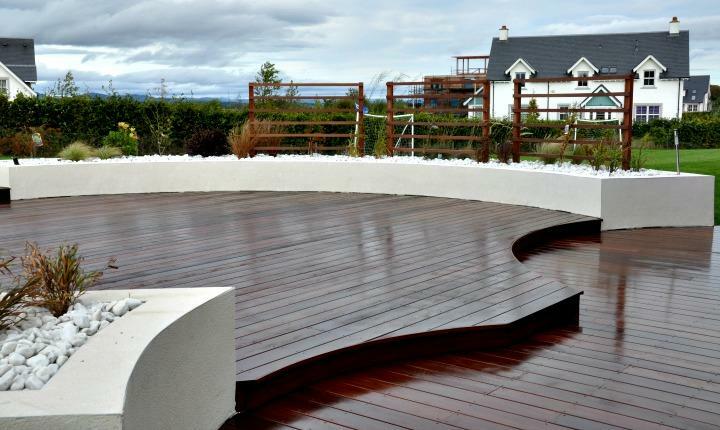 A circular hard wood deck was constructed with a second circular shape forming steps leading to the main area. 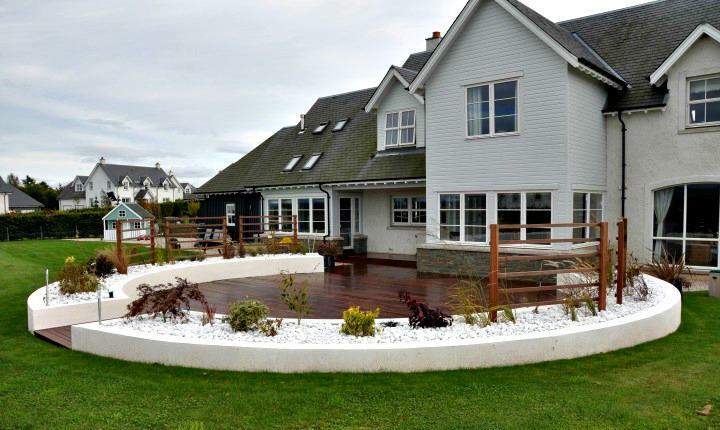 Large shaped planters with a crisp white render surround the deck. 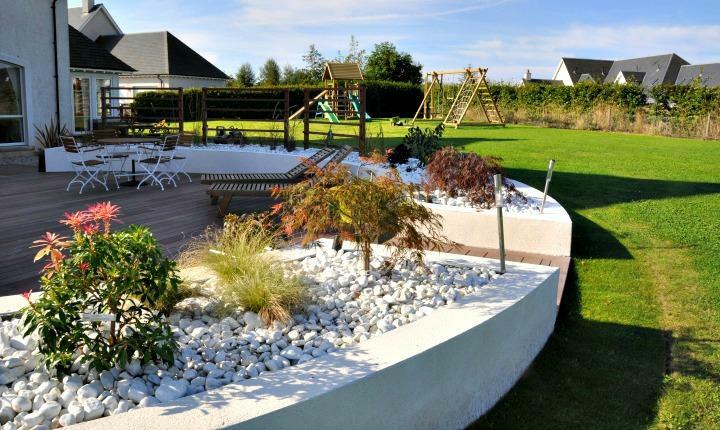 These are topped with white pebbles and simple hard-wood screens were added for height and interest. Specimen grasses and plants add softness, colour and texture to the planters. 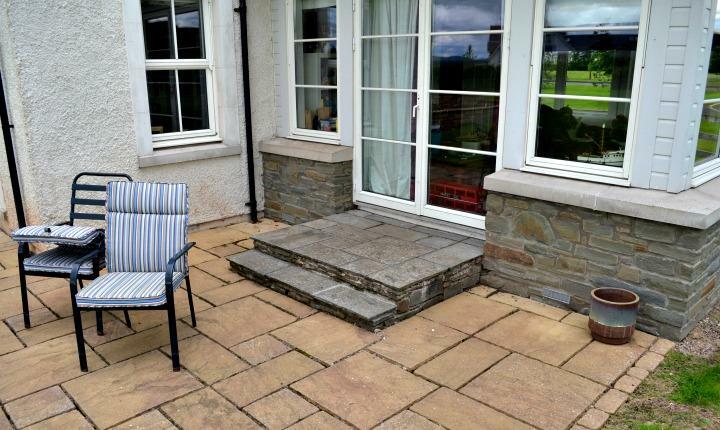 A simple square deck provides a practical entrance and an additional seating area at the side patio door. 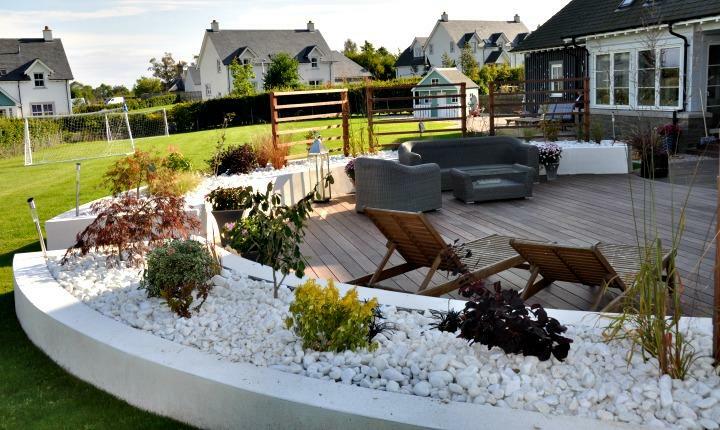 The new deck and planters complement the style of the property perfectly providing a stunning contemporary space for relaxing and entertaining. 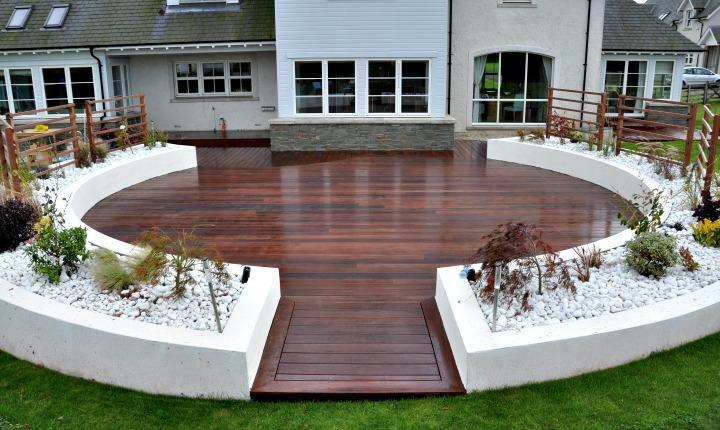 The rich colour of the hard-wood deck contrasts perfectly with the white planters and pebbles. Well chosen planting provides the final touches adding colour and texture to the garden.